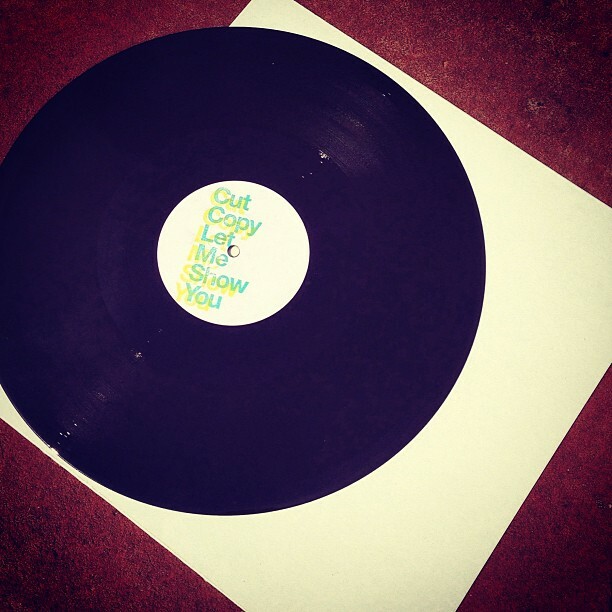 A few lucky Cut Copy fans at this weekend's Pitchfork Music Festival got a special treat, as 120 single sided vinyl copies (40 per day) of the bands new single "Let Me Show You" from their upcoming fourth album were made on the spot. With the persons individual name etched on the record and the sleeves numbered. Pretty sweet huh. 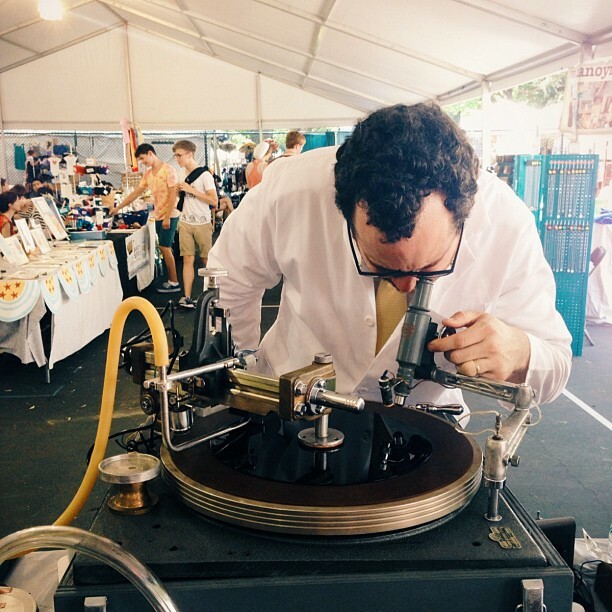 Those will definitely be rare/collectible records. One fan has uploaded the recording to youtube for us common folk to hear. Digging the track which has a nice slow groove dance vibe to it. Check that out below with the music kicking in around the 1:26 mark. Can't wait to hear the rest of the album from one of my favorite/consistent bands of the last decade.